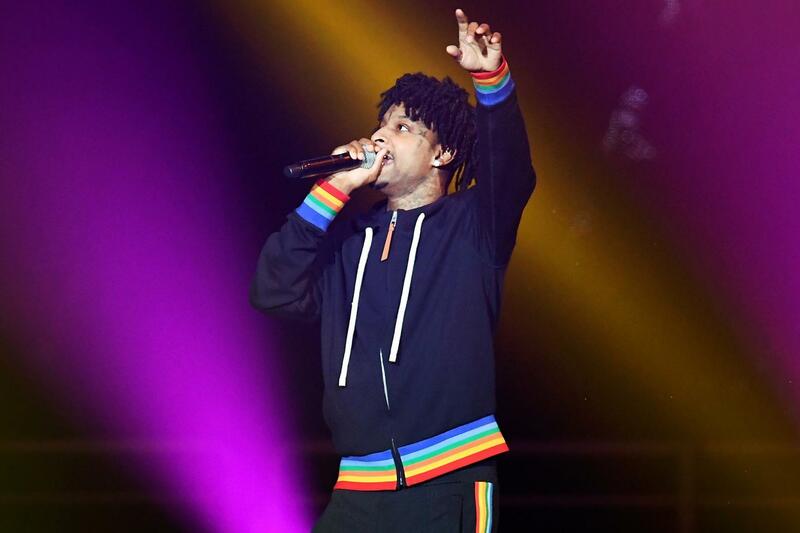 Rapper 21 Savage is in custody and at risk of being deported after authorities claimed he is a UK national who has been living in the US illegally. US Immigration and Customs Enforcement spokesman Bryan Cox says the Grammy-nominated artist – real name Sha Yaa Bin Abraham-Joseph – was arrested in a targeted operation early Sunday in the Atlanta area. Cox says Abraham-Joseph is a British citizen who entered the US legally in July 2005 but overstayed his visa, which expired in July 2006. According to Cox, Abraham-Joseph was convicted on felony drug charges in Georgia in October 2014. Abraham-Joseph has been placed in deportation proceedings in federal immigration court, Cox says. As headbangers with bleeding poets’ hearts, Nirvana were singular. Yet their slower songs have become unjustly obscured as the decades have rolled by. Has Kurt Cobain even more movingly articulated his angst and his anger than on the best song from their swan-song album, 1993’s In Utero? Locating the dreamy underside of suburban ennui was perhaps the crowning achievement of Arcade Fire and their finest album, The Suburbs. Many artists have tried to speak to the asphyxiating conformity of life amid the manicured lawns and two-cars-in-the-drive purgatory of life in the sticks. One of the best songs ever written about ageing and being forced to make peace with the person you are becoming. Long before the concept of the “hipster” had gone mainstream, the 30-something James Murphy was lamenting the cool kids – with their beards and their trucker hats – snapping at his heels. You could fill an entire ledger with unforgettable Cohen lyrics – couplets that cut you in half like a samurai blade so that you don’t even notice what’s happened until you suddenly slide into pieces. “So Long, Marianne” was devoted to his lover, Marianne Jensen, whom he met on the Greek Island of Hydra in 1960. As the lyrics attest, they ultimately passed like ships in a long, sad night. The great pop bromance of our times came crashing down shortly after Carl Barât and Pete Doherty slung their arms around each others shoulders and delivered this incredible platonic love song. Has a break-up dirge ever stung so bitterly as when the Libertines duo counted the ways in which each had betrayed the other? True, the lyrics spew and coo and, written down, resemble something Robbie Williams might croon on his way back from the tattoo parlour (“And I don’t believe in the existence of angels /But looking at you I wonder if that’s true”). Andrew Eldritch is the great forgotten lyricist of his generation. Dominion/Mother Russia was a rumination on the apocalypse and also a critique of efforts to meaningfully engage with the Soviet Union at the height of the Cold War. Ever better, and from the same Floodlands album was “This Corrosion” – a track more epic than watching all three Lord the Rings movies from the top of Mount Everest. Amid the choirs and the primordial guitars, what gives the nine-minute belter its real power are the lyrics – which may (or may not) allude to the not-at-all amicable departure from the Sisters of Wayne Hussey and Craig Adams. Written down, Springsteen lyrics can – stops to ensure reinforced steel helmet is strapped on – read like a fever-dream Bud Light commercial. It’s the delivery, husky, hokey, all-believing that brings them to life. The daughter of a strict baptist preacher, Amos constantly wrote about her daddy issues. Father Lucifer was further inspired by visions she had received whilst taking peyote with a South American shaman. “First you get a swimming pool full of liquor, then you dive in it/ Pool full of liquor, then you dive in it/ I wave a few bottles, then I watch ’em all flock”. Nobody captured the violent tumult of the end of the Sixties better than Mick, Keith and co. Their one masterpiece to rule them all was, of course, “Gimme Shelter”. Today, the credit for its uncanny power largely goes to Merry Clayton’s gale-force backing vocals. Which Bowie lyrics to single out? The gordian mystery of Bewlay Brothers? The meta horror movie of Ashes to Ashes? The uncanny last will and testament that was the entirety of Blackstar – a ticking clock of a record that shape-shifted into something else entirely when Bowie passed away three days after its release? You could stay up all night arguing so let’s just pick on one of the greats – the trans-Continental odyssey comprising the title track to Station to Station. Recorded, goes the myth, in the darkest days of Bowie’s LA drug phase, the track is a magisterial eulogy for the Europe he had abandoned and which he would soon return to for his Berlin period. There is shameless revisionism and then there is claiming that Noel Gallagher is a great lyricist. And yet, it’s the sheer, triumphant dunder-headedness of Oasis’ biggest hits that makes them so enjoyable. Piano-man Wainwright can be too ornate for his own good. But how he lands his blows here in this soul-baring recounting of a violent disagreement with his father. Loudon III, a cult folkie in his own right walked out on the family when Rufus was a child and the simmering resentments had lingered on. A statement of intent, a zen riddle, a perfect accompaniment to one of the greatest riffs in indie-dom – the opening track of the Stone Roses’s 1989 debut album was all of this and much more. His attorney Dina LaPolt told The Independent in a statement: “We are working diligently to get Mr. Abraham-Joseph out of detention while we work with authorities to clear up any misunderstanding. Fans of 21 Savage and fellow artists shared their reactions on social media after the news broke. Many expressed their bafflement at the authorities’ claim that Abraham-Joseph, who has built a public persona strongly linked to Atlanta’s zone six, is actually a British citizen. “I did not know 21 savage was from South London,” musician Wiley tweeted. “How 21 Savage from the UK with no accent?” another person wrote. The rapper is nominated for two awards at next week’s Grammys, including record of the year for “Rockstar” alongside Post Malone.